Dion Weichers has considered himself a professional painter for about 35 years. The Loveland-based artist has produced about 70 paintings and teaches a children's drawing class from his home at Artspace Loveland Lofts Campus. 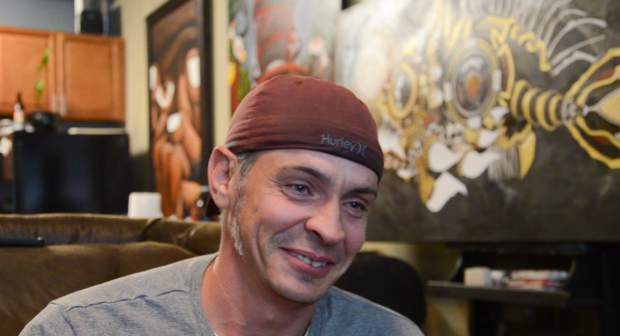 Dion Weichers has lived at Artspace's Loveland Lofts Campus for about three years. He says the specialized housing units support creative people, who would otherwise have to work two jobs "just to make ends meet." 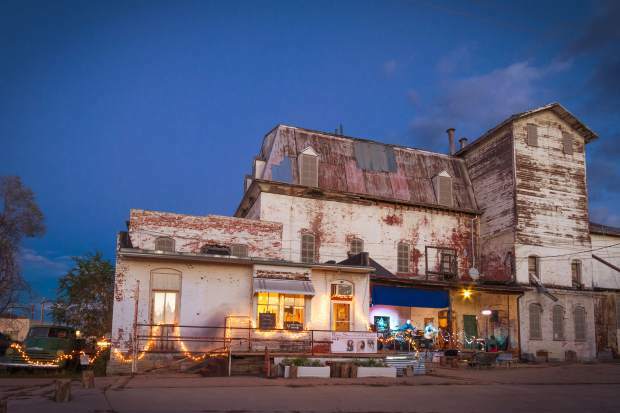 Volunteers originally connected with Artspace staff with hopes that Loveland's Feed and Grain building could serve as artist housing. The nonprofit developer recommended new build instead and is in the process of securing funding to convert the first floor of Feed and Grain into a creative incubator. Dion Weichers laughs at the beginning of an interview in his loft at Artspace's Loveland Lofts campus. Weichers, who has been an artist for about 35 years, said of the lofts, "There's always people asking others for inspiration or new and different ways to improve themselves." Loveland Lofts, an Artspace live-work development, is seen as a model for potential artist housing project locally in Carbondale. Gigi Deal, a reduce, reuse and recycle artist, speaks during an interview at Artspace Loveland Lofts. She says the affordable housing building allows her the "utmost creativity." The Artspace Loveland application is simple, but it considers numerous factors. The two-page document requires applicants to income qualify and declare whether they or other household members consider themselves artists. Loveland Housing Authority, an Artspace partner and building manager, reviews applications in the order they’re received. Anyone who income qualifies may apply for Artspace projects. Preference goes first to local artists, then non-local artists, then local non-artists and finally non-local non-artists. An artist selection committee reviews each applicant’s dedication to and participation in the arts. Applicants do not have to earn their income from artistic pursuits, which Artspace defines broadly, and the committee doesn’t evaluate the content of an applicant’s work. 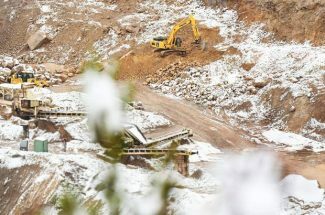 The Loveland project has a waiting list, as it has since its opening. The process is similar throughout Artspace properties. Loveland grew up around railroads and agriculture. The northern Colorado city incorporated in 1877 along a line of the Colorado Central Railroad, and its early economy relied on crops such as sugar beets and sour cherries. The city’s Feed and Grain building, built in the 1890s, is one of its oldest remaining structures. Today, Loveland also is known for its public art. The city’s collection includes about 300 pieces, ranging from murals to sculpture. More than 100 of those sculptures are on permanent display in the Benson Sculpture Garden. And since the early 2000s, residents have worked to incorporate the city’s agricultural history with its artistic present. A group of volunteers worked to preserve the Feed and Grain building with hopes that it would become artist housing. After securing investment and private ownership, they contacted Minneapolis-based nonprofit real estate developer Artspace with that goal in mind. 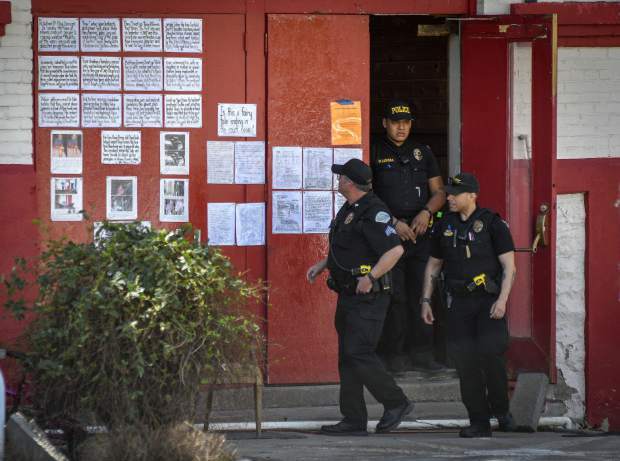 Although Artspace determined the building wasn’t suitable for housing, the organization began working with the volunteers and city officials to pursue live-work space for the city. 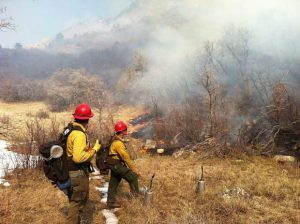 Saving the building was the volunteers’ top priority. But then-Mayor Cecil Gutierrez recognized the potential of affordable housing for artists. “People will come down to a community where artists are doing their work. They want to see that,” said Gutierrez, who has since retired. Art draws people into an area, he added, and can spark growth. He expected artists to be key in Loveland’s downtown revitalization, and he wanted to ensure creative industry employees could stay in the city. “Quite frankly, when you’re successful with a downtown revitalization, you price some of those people out of the housing,” he said. Artspace worked with city officials and community members to identify need and suitable land for the housing project. Their efforts resulted in a 30-unit building with gallery space, located adjacent to the beloved Feed and Grain building. Art is part of Loveland’s identity, and Loveland Lofts help people who create that identity to reside in the city center. 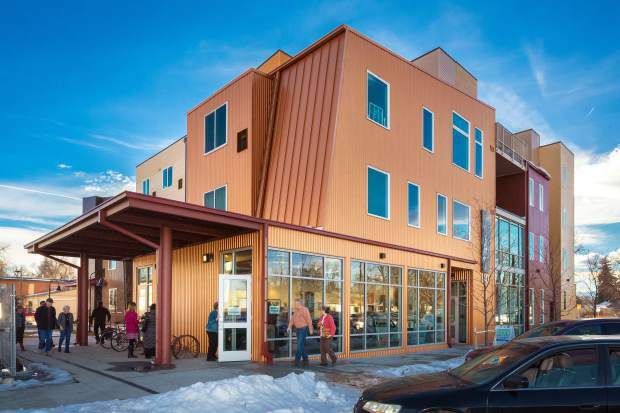 The first residents moved into the Artspace Loveland Lofts in 2015, and since then, the project has become a model Colorado will try to replicate throughout the state. Artspace has developed 50 artist living and working spaces throughout the country. The organization began in 1979 as an advocate for artists’ space needs. Within a decade, though, the group changed tactics. It saw the same people displaced and returning for more help. The organization became a real estate developer that uses low-income tax credits and other tools to ensure artists aren’t priced out of their communities. Because Artspace retains ownership of the properties it develops, it can control rental rates. 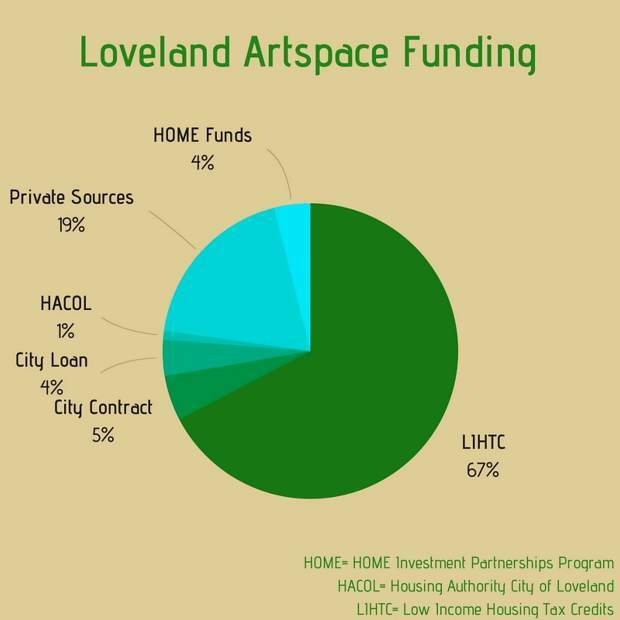 Though Loveland was its first Colorado project, Artspace is now involved with at least 10 other communities in the state, including Carbondale, which is looking to develop artist housing of its own. Skeptics sometimes question why artists receive preference in these projects. Colorado Creative Industries, a part of the state’s Office of Economic Development and International Affairs, promotes the economy through artistic efforts. CCI also administers the Loveland-inspired affordable housing program Space to Create. 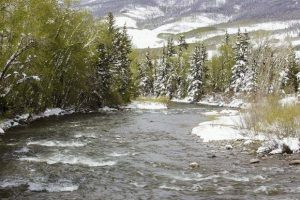 The group has studied why some rural communities haven’t experienced the same post-recession economic recovery as Front Range communities. “One of the things we discovered is a diversified creative sector is really an important part of resiliency,” said CCI Director Margaret Hunt. That aligns with Artspace’s mission. Its constituency is clearly creative. It was part of a 2008 effort to amend tax credit law to ensure low-income housing tax credits could be applied to special groups, including artists. President George W. Bush signed the legislation into law. Joern is quick to note that artists are a subset of the general population, though, which means these affordable housing projects affect many groups. “The Artspace tenant population is really diverse. It includes veterans and people who are working in the general workforce,” she said. Dion Weichers makes the most of his Artspace loft’s high ceilings and ample natural light. The Loveland-raised painter’s home is filled with his large-scale paintings, which he sells through galleries and other area businesses. Weichers also licenses his work for products like growler covers and bottle openers. “[Artspace] allows me to continue to work and to afford to live without having to work two jobs just to make ends meet,” he said. Weichers, who is in his early 40s, is one of the building’s newer residents, but he’s typical in many ways. The average Artspace tenant is 42, and most tenants stay for seven years. In Loveland, the area median income is $59,600 for an individual. Artspace rents vary by unit size, the number of occupants and tenant income, and are set by the U.S. Department of Housing and Urban Development. Most Artspace affordable housing units rent to tenants who earn 30, 40 or 60 percent of their area’s AMI. For example, a tenant in Loveland who earns 60 percent AMI and rents a one bedroom unit would pay $957 a month. Weichers works overnight building armatures for the wind industry, and then paints and illustrates from his couch. 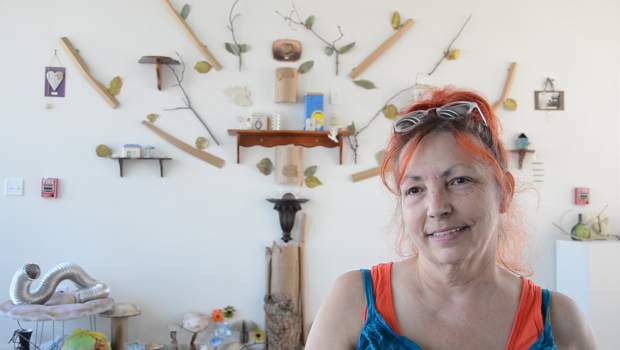 None of the Loveland tenants are able to pay rent based solely on their art careers. Its past 15 years of arts market studies have taught Artspace that only 10 percent of respondents are able to earn 100 percent of their income through creative endeavors. Though he must continue to work a non-art job and live with a roommate to make rent, Weichers acknowledges another advantage of his living situation. He said living among artists is a benefit in itself. 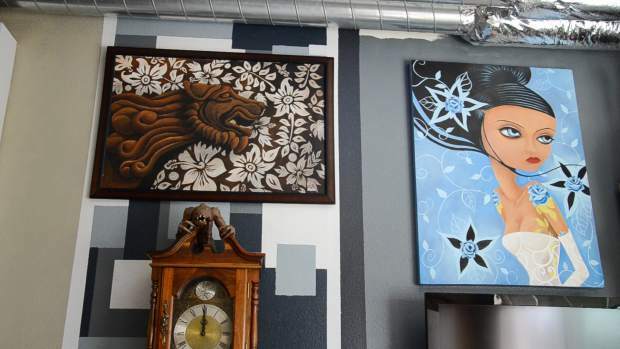 Loveland Lofts and other Artspace projects are designed with artists in mind. The buildings include high ceilings, open floor plans and durable surfaces. On-site community space, such as Loveland’s gallery, invites residents to collaborate and draws the larger community into the building. 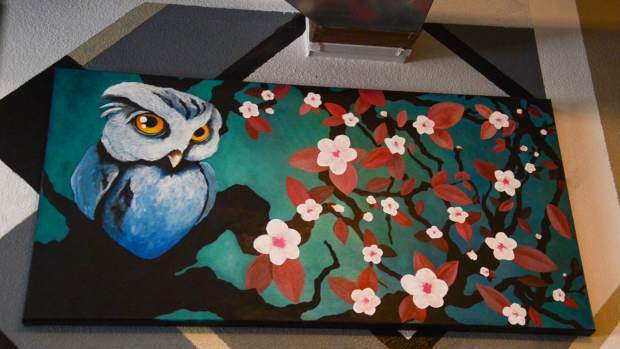 Artists also hang work outside their doors, so each floor’s hallway shows its residents’ personalities. However, some tenants either choose not to participate or are unable to because of hours spent at work. 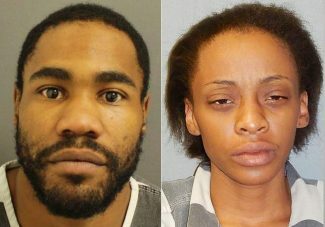 That creates tension in the community, and the Deals are vocal about it. Her husband, Bobby, points to Loveland Housing Authority buildings, which cater to seniors, veterans and the general public. Each project requires residents to income qualify. Although Artspace Loveland Lofts isn’t a silver bullet for affordable housing, it has had noticeable effects outside its walls. Artworks Loveland opened its studio spaces in 2012 with support from the Erion Foundation and Colorado Creative Industries. The property, located kitty corner from Artspace, expanded in 2015, the year Artspace opened. Joern said owner-operator Doug Erion watched Artspace’s Loveland market study with interest. And more development may be ahead for the neighborhood. Although Artspace determined the Feed and Grain building, about which it was originally approached, wasn’t suitable for housing, it remains a priority. The building has housed temporary gallery space, and Artspace is working to secure funding for a first-floor creative incubator. The community hopes that historic space will continue to draw development downtown.